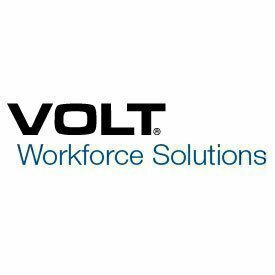 The Volt Employee Self Service web portal at https://ess.volt.com is an online service for all Volt Workforce Solutions employees to login and have access to their payroll information. This service is a convenience and an upgrade for temporary assignment employees who always had to depend on manual hardcopy timesheets for tracking their hours worked on a job. With the online self service portal all payroll time, hours worked, and pay is electronically tracked for employees to review. One of the benefits of Volt ESS is employees have 24 hours a day access to their pay. They can login anytime of the day to review their hours to ensure everything is correct in advance of getting paid. Any problems they notice about their pay can be addressed before a pay week ends to avoid paycheck corrections. Some of the information that is available for employees to access in their personal account is hours worked, overtime hours, estimated earnings for the current pay cycle, review past pay cycles, etc. For employees who are new to using the system the first step to getting started is utilizing the one-time ePay authorization option. The next requirement is to create your login credentials, username and password. There are easy to follow instructions on how to create this information on the site or you can simply get assistance from a Volt representative. After you have created your user ID you will notice that it will always be located on your paystub so if you by chance forget this information you can review your paystub to find it. On your very first login utilizing your ESS Volt Employee Login you will be given a temporary password and after you’ve logged in with it you can then change it to anything you desire. There is a certain pattern you want to follow when creating your new password that you will want to consider for your safety. The employee self-service system gives employees more control over their time which saves the company time and money. When they have questions about their hours they can simply login to their account and view their timesheet and 9 times out of 10 find an answer to their questions. Any corrections that need to be made to their timesheet prior to the pay cycle ending can be addressed early thus reducing less payroll errors. The ESS service is also a benefit for Human Resources and the Payroll department because they are less bombarded with calls and visits from employees concerning their paycheck. Employees can conveniently login to their account via the ESS Volt and monitor their own time and pay info.